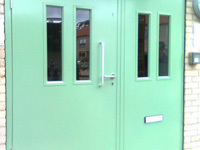 A general purpose personnel door available as single or double door sets with a selection of options so each door. 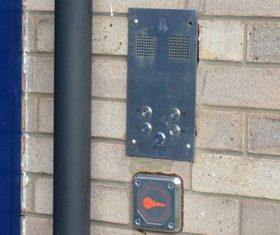 For entrances to any shared access areas such as apartments, retirement homes, housing association properties and offices. 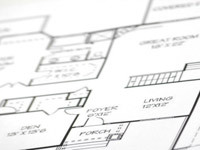 Certified doors from 30min to 4hour fire rated providing fire protection for all specified requirements. To suit exacting specifications of Utility and Maintenance companies, where sub-stations require security. 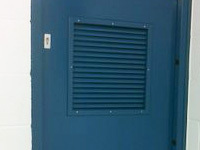 Where ventilation is a requirement our louvred doors combine maintaining an air flow with all standard security features. Certified to Insurance and Police standards with a selection of high security features or manufactured to your specification. 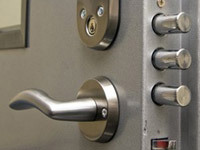 By visiting your premises we can discuss the most effective security and steel doors to match your exact needs. As experienced steel door installers we can survey, supply and install a range of steel security doors and fire doors, communal entrance doors, utility doors and louvered doors. These come complete with a wide range of door furniture and locks designed to meet your exact door size and requirements with a range of locking mechanisms including British Standard 5 lever deadlocking, lever handles and sash locks. 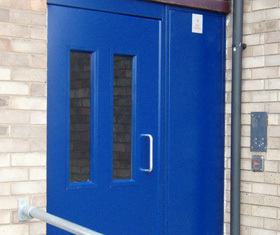 Our quality steel door installations include a minimum of 4 steel hinges, anti-jemmy strip, weather seal, two types of bottom threshold, inward or outward opening, frame with 17mm bolts as standard to provide you with confidence in the robust nature of our products. 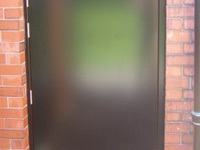 All our steel security doors are manufactured from between 1.2mm & 2.0mm thick steel (dependent on door) and all are supplied with frames manufactured from 2mm steel and can be supplied with heavy duty internal locking bars if required. All doors are made to measure, polyester powder coated for durability and include up to 30 colour choices to fit your needs. 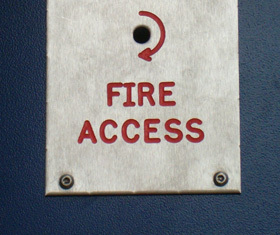 Our fire doors have a range of fire ratings and are supplied with a range of emergency exit hardware as standard, outward opening, spy viewer and signage. For additional security the fire doors can be fitted with internally operated deadlocks or external override locking mechanism. The external communal entrance doors above are typically used in shared entrances. They can include vision panels and operated via key pad or key fob. 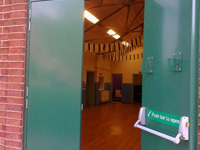 Commonly used on schools, flats and residential areas, heavy duty door closures ensure the door returns smoothly to the closed position. Safety features include an emergency override panel. 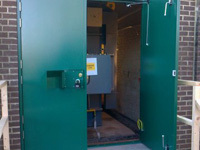 Our substation & boiler doors combine ventilation with security typically used on plant rooms, storage rooms and substations and available with a range of robust security locking devices. 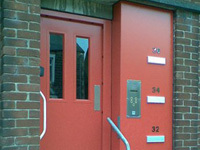 Steel door installers for communal entrance doors and emergency fire doors Manchester steel security doors UK covering Rochdale, Oldham, Bury, Bolton, Salford, Stockport, Wigan, Ashton, Trafford and Stretford, Middleton, Crumpsall, Blackley, Moston, Beswick, Collyhurst, Miles Platting, New Moston, Hulme, Rusholme, Harpurhey, Alkrington, Stretford, Holts, Glossop, Uppermill, Saddleworth, Greenfield, Grotton, Urmston, Sale, Altrincham, Hale, Cheadle, Hazel Grove, Denton, Audenshaw, Hyde, Dukinfield, Stalybridge, Swinton, Prestwich, Whitefield, Radcliffe, Royton, Chadderton, Failsworth, Heywood, Marple, Bredbury, Romiley, Littleborough, Wardle, Eccles, Irlam and Bramhall.